I want to explain why I believe my trading strategy works so well. So let's say I talk about that and more right now. 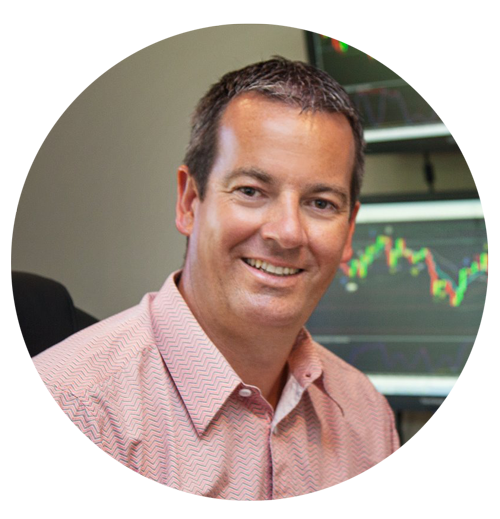 Hey, traders, Andrew Mitchem here from The Forex Trading Coach with video and podcast number 314. And I often get asked questions, people say to me, “Hey, Andrew, why is it that your system works, or why do you believe it works? How does it help so many people?” And there's a number of reasons, but I just wanted to share with you probably issues that you may be having as a trader. You see when people start trading. They think they need to clutter their charts with indicators all over the place. They need to either think that they need to be an expert in fundamentals. They think they need to trade all of the time. Now, most people when they start off, because trading's exciting and you want to take lots of trades, otherwise why be a trader, they think they need to take trades all the time. So most people put a whole jumble of indicators, and lines, and arrows, and squiggly bits all over their charts, they use supposed great combination of indicators and everybody thinks they're going to get the perfect combination of indicators. They're going to add this one, and add this one, and overlay that one, and only take when this one gets to 50%, and overboard, and all these type of things, and they want to do this on one minute and five minute charts at least to complete confusion. Now, I actually knew a guy, who actually lived not far from me here in Hamilton. A number of years I went to see him, and he actually traded really well and made a lot of money, this guy made a lot of money off five minute charts. Trouble was, he got completely burnt out and he doesn't trade today. And I went to his office, and he had this beautiful house, lovely house, but it was all darkened rooms, he had screens everywhere, completely it was his own office, no kids allowed in it, no wife allowed in it, and it was just purely trading, that's all he did. But the trouble is, he spent all day trading, he spent all evening trading, he spent all night trading, and yes he made a lot of money at the time, but he completely burnt out, it wasn't real. And I think that a big part of trading and why my system works, and it works for myself and so many other people, is because it's real, it's practical. Now I started trading 15 years ago, I started coaching 10 years ago in April, so we're almost up to our 10th birthday. Now I've been teaching the same way, and I've been actually trading the same way now for 12 years. Nothings changed with the way I've traded. So after two years of working really well The Forex Trading Coach started, but it took me three years up to that to get to that stage. But 12 years with the same strategy, nothings changed, and it's been through all different market conditions, et cetera. Why does my strategy work? So why does it work? Well, first of all, it works on all pairs and all timeframes, and it allows you to have a lifestyle, and I think that's really important. That's why we're still going all these years later, because it is real, but it doesn't require you to sit at the computer all day. So the reasons why it works will be this. We're only looking to potentially taking new trade on the close of a candle. So because I'm a price action based trader, I'm not looking at candle flags, and triangles, and ellet wave and all those things which sometimes look really, really good when you see them in hindsight, but they're real difficult to trade in real time. I'm looking at the close of an individual candle, just one candle, so the last completed candle. So I know exactly when I need to look at my charts, is only at the close of a candle. So if it's a four hour chart, I just need to look at the end of a four hour chart, I don't need to look right midway through a candle. And because I'm taking mostly retracement orders, I don't even need to be there at the exact time that the candle closes. But when looking at the individual candle, what is that telling us? What's happening in the market right now? Are there more buyers in the market? Are there more sellers? What happened to the candle before? Was it like a previous uptrend, then an indecision, and now we're looking at tipping over? If that's the case, is it a reversal, is it a continuation? What part of the chart is it in? How does it balance to a certain price level? All those things, you can that picture in your mind about where the market's likely to go and why, only by looking at what's happening on those candles. Once you understand them, that is. Now, you can go do candle research online, and you'll find there'll be, let's pick a figure, 50 different formations, let's say. We only look at about four of them, keep it real simple. You don't need to clutter your charts up, you don't need to clutter your mind up with what's happening, you can get that information real quite simply. And then, once we've got an idea of, yes this potentially could be a trade, or no it's not, if it is potentially a trade, okay, what's backing the trade up? What's suggesting that we might get an upward or a downward movement price here? What's helping the trade? Has it balanced there before? Has it had a trendline break? All those type of things. Once we decided, yes we like the look of this trade setup, do we have room to move for the profit target before any sort of either support or resistance, depending if we're buying or selling? Do we have anything to secure the stock loss? Do we have it placed on a sell trade? Do we have it placed above a round number to add for protection? All these kind of things is what we're looking at, but the actual basics comes down to when the candle closes, looking at that candle where it occurs on the chart. So a real, real simple way of doing things, but simple is good. Don't forget, once you understand it, it's really good. But the beauty is, you can trade at all timeframes, all pairs with this exact same strategy. Now, I mentioned earlier that we're heading towards our 10th anniversary, our 10th birthday at The Forex Trading Coach. Real proud to be at that level, helped thousands and thousands of traders right around the world. The only thing that's changed this side, is I'm getting slightly grayer and a lot less hair, but apart from that, everything's fantastically well. So I'm going to put a link somewhere on this page, probably below this video, to express your interest in the 24 hour sale that we're having on the 3rd of April, it could be the 2nd of April depending on where you live in the world. If you're in Europe or US, it's likely to start on the 2nd, if you're in Asia through to Australia and New Zealand, it starts your morning on the 3rd of April. 24 hour sale, really going to be an awesome sale, going to be the lowest price ever in 10 years, so that's where the price starts at. So if you are interested in joining us here at The Forex Trading Coach, five star rated course on Forex peace army, and 10 years of proven to helping clients worldwide, if you'd like to join us on our journey for the next 10 years and help improve your trading, click on the link that will be on this page, and we'll be absolutely pleased to have you on board, and to help you become a successful and independent Forex trader.